Ralph Young started in business in the early 1950s in Flitwick, Bedfordshire, manufacturing breeze blocks. A short while later he bought land in Leighton Buzzard and moved production there. It was on this land that the original Youngs Industrial Estate was built in the late 1960s. By the late 1950s the company had grown to include plant hire and the supply of sand and gravel. 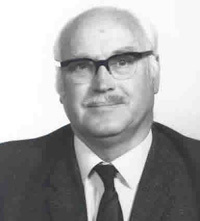 In the early 1960s Ralph bought 130 acres (52 hectares) of gravel bearing land in Aldermaston, Berkshire, which had previously been used as a timber yard. Young (Aldermaston) Developments Ltd was formed in 1963 and extracted the gravel until the late 1970s. During this time a large area of concrete was laid down for the manufacture of concrete blocks. In the early 1980s Planning Permission was granted for light industrial units to be built on this site. This was the beginning of Youngs Industrial Estate, Aldermaston. By this time, Ralph’s eldest son, Robert and his youngest son, Andrew had both become directors, having worked through the company learning all aspects of its operations. Youngs was now very much a family business. Robert’s son, Roy, joined the company in 1995, working alongside Robert and Andrew to continue the family line. In 2001 he was appointed Company Secretary. Much of the land where gravel extraction had taken place was set aside under an agreement with the District Council and restored by the company. In later years, Youngs, in conjunction with the Pang & Kennet Valley Countryside Project, created Paices Wood Country Parkland. The seven lakes in the valley running through the parkland provide fishing for carp, roach, tench and pike. In 1996 a phased re-development commenced on the Leighton Buzzard estate with all the original industrial units being demolished and replaced with modern light industrial units. This re-development was completed at the end of September 2006. Shortly after, Youngs completed the replacement of the oldest block of buildings at the Aldermaston industrial estate. With continued high occupancy levels throughout the downturn at the end of 2008, in 2011 Youngs were in a position to expand the company further by employing Andrew’s son Tim as a Chartered Surveyor, shortly followed by Robert’s daughter Trina as Office Manager. 2011 also saw a change in the company name from Young (Aldermaston) Developments Ltd to Young Estates & Land Ltd marking the next generation of Youngs to continue to take the company forward.